Believe it or not, a torn ACL in dogs is one of the most common major injuries a dog can experience today. There are several reasons why a dog may rupture their ACL. Some of them can be prevented, but accidents do happen. The strain a dog puts on their muscles and joints throughout their lifetime can create a greater chance of them having to have torn ACL surgery, also known as TPLO surgery. But before that option becomes a reality, here are some of the most common reasons why dogs rupture their ACL and what you can do as a dog owner to prevent it from happening. A lack of quality exercise can lead to your dog developing weak joints and muscles over a period of time. We all live busy lives, but it’s still important to take your dog for a walk every day for at least a few minutes. You can’t expect your dog to get any significant amount of exercise when they are at home by themselves, so make it a point to get them on their feet and walking when you get home. 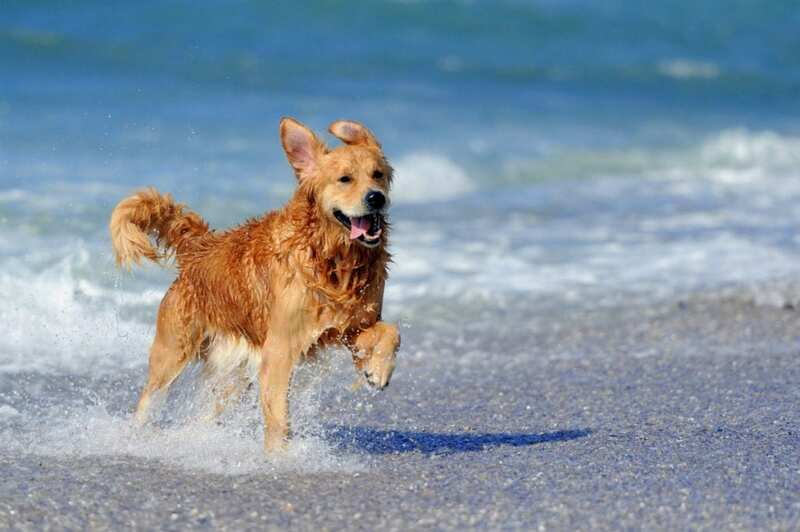 Getting plenty of exercise is one of the most effective ways to prevent a torn ACL in dogs. An overweight dog is more prone to ACL injuries because of the extra pressure put on the joints. This additional weight can eventually wear down the ligaments and cause your dog to tear their ACL just by doing normal activities. Do your best to give your dog adequate exercise in combination with a healthy diet and they will have the best chance of avoiding a torn ACL. 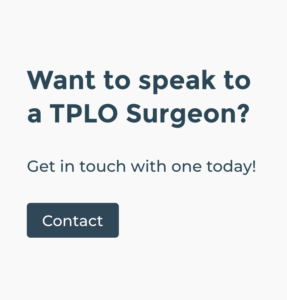 These preventative measures are much easier to incorporate into your daily routine rather than dealing with the physical therapy if your dog has to have TPLO surgery. One of the things you should avoid as a dog owner is only exercising your dog on the weekends. When a dog is lazy for five days out of the week and only active for two, they may overdo it on those two days and increase their chance for an injury. A torn ACL in dogs is common when they exercise too hard sometimes, especially when they haven’t been conditioned enough beforehand. This sudden jolt can quickly rupture an ACL, but it can be prevented by exercising your dog regularly so their joints and muscles can handle sudden bursts of energy. No dog owner never wants their friend to have to go through TPLO surgery. While it can sometimes be difficult to provide your dog with the right amount of exercise, doing so can help them prevent injuries and keep them active and healthy for a long time. A healthy diet combined with frequent exercise can help your dog avoid these common reasons why dogs tear their ACL. 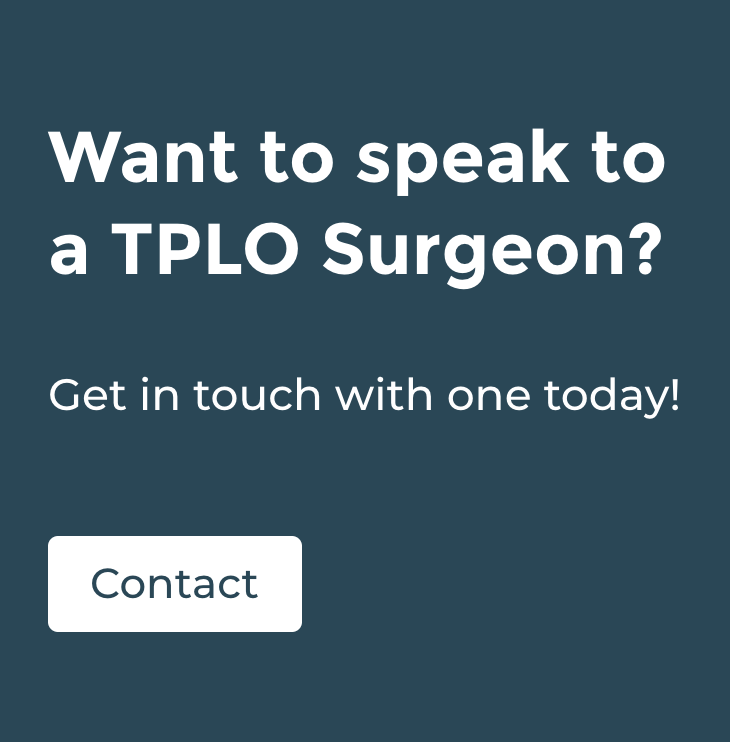 Want to speak to a TPLO Surgeon? Get in touch with one today!